To equip each client with the necessary information to make the most informed decision to fulfill their own unique planning objectives is Chad D. Huber’s goal when providing advice regarding planning matters. The ultimate objective is to obtain peace of mind. 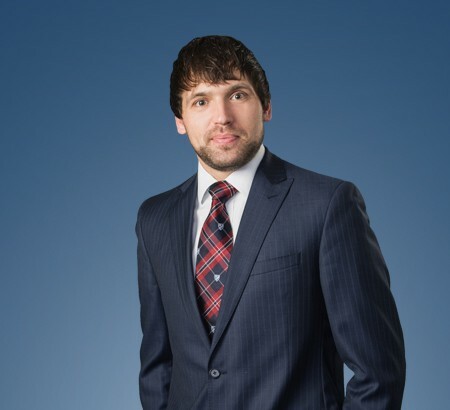 Mr. Huber, an associate in our Estate Planning, Trust and Probate Practice Group, focuses his practice on the areas of elder law, estate planning, estate administration, special needs planning, business organization and succession planning, and real estate. As a native of Northwest Ohio, Mr. Huber is familiar with local financial institutions/advisors and accounting firms and collaborates with these entities to provide the best service to mutual clients. Working together with these entities, Mr. Huber believes, is in the best interests of his clients. In addition to working with clients, another means for clients to become informed is through seminars. Frequently Mr. Huber speaks to local groups regarding estate planning, elder law, wills and trust issues. After obtaining his bachelor’s degree in business administration from Bowling Green State University in 2003, Mr. Huber continued his education at the University of Toledo. There he received his law degree and MBA in 2007. In addition to practicing law, Mr. Huber is active in the legal community and the community at large. He is a member of the Ohio State Bar Association, Toledo Bar Association and the Wood County Bar Association. Guardianship Procedure and Alternatives to Guardianships.